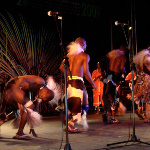 Maskandi music is a traditionally based musical style originating from the Zulu nation in South Africa. Its defining instruments are the acoustic guitar and a specially tuned concertina. It is from this musical background that the Imithente group emerged. 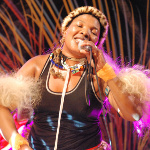 The band was formed in 1993 by late guitarist, Simosakhe Mthalane, who was living in the country's musical capital, Johannesburg at the time. 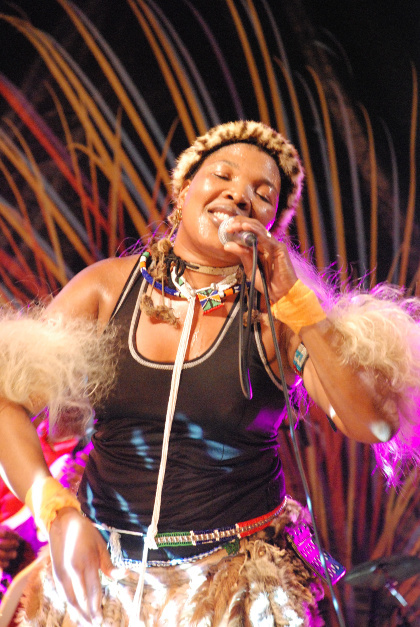 He saw the opportunity to start a female vocal maskandi band in a scene dominated by male groups. 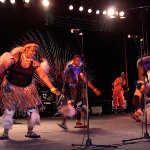 Being of Zulu origin, he had grown up doing the traditional dancing and singing. 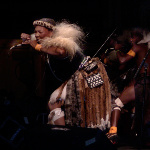 Mthalane recruited three female singers, Buselaphi Gxowa, Dumisile Manana and Nokwazi Ntuli, who hail from Kwazulu Natal. 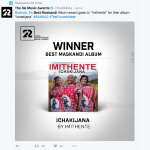 Together they recorded a number of albums that were both commercially successful, taking gold award status, and collected the top industry accolades (SAMA and SATMA awards). Their success drew invitations to appear on stage in different parts of the country, in neighbouring states as well as in Europe. In 2002 they performed in La Rochelle (France) and later that year they did shows in India. 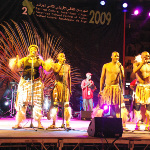 In 2008 they played in Vienna, and in mid of 2009 they performed in the Pan African Cultural Festival in Algiers.